Iloilo and Guimaras are probably two of the provinces you have never visited yet. Or even worse not even heard of. 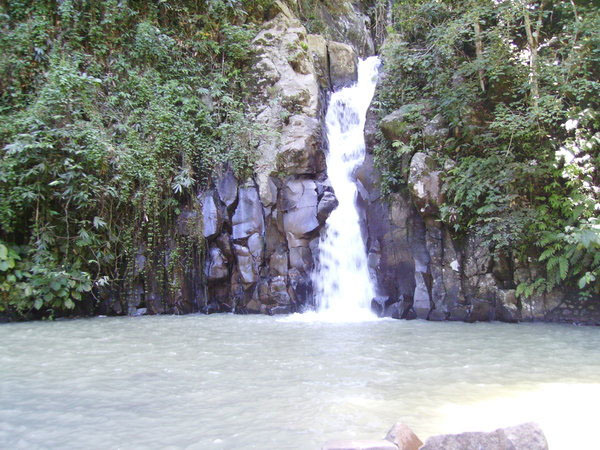 Well this two twin provinces are definitely one of the jewels of the Visayas region. These two provinces are equally rich in cultural heritage to begin with and splendid beaches to enjoy with. Iloilo is a province in the Western Visayas region in the Southeast portion of Panay Island. And just off Iloilo’s Southeast portion is the Guimaras island that used to be part of Iloilo. One cannot just enjoy Iloilo without passing to Guimaras. And across Guimaras Strait and Panay Gulf is Negros Occidental. Hiligaynon or Ilonggo is the language spoken in this area. Iloilo is rich in Spanish architecture evident in the old buildings of downtown Iloilo. As a leading province during the Spanish Colonial Era, the province of Iloilo is widely known for its beautiful old world architecture similar to that of Latin American Countries. 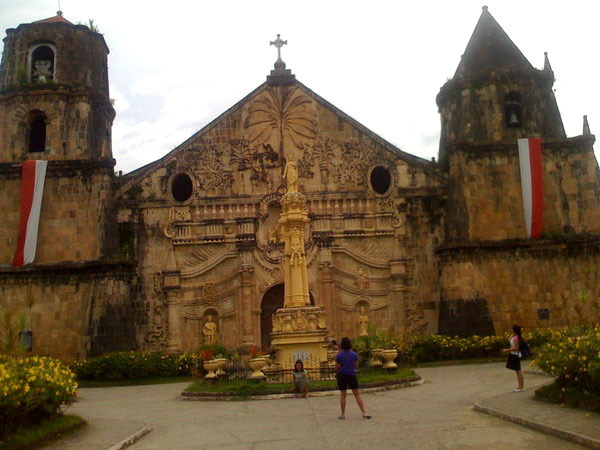 Spanish colonial Churches are amongst the well knowned tourist sites in the province. Miagao Church. is a World Heritage Site. This is an Aztec-Baroque inspired church with Filipino botanicals used to carved on the facade. It is known for its intricate facade and pyramidal bell towers. The church was used as a fortress during the olden days. It is a massive structure built of yellowish Limestones. Cabatuan Church. This Neoclassic Church, known to be the most massive Hispanic structure in Iloilo is built of red bricks. It is believed to be the largest red brick structure in the Visayas and it was given the title “Model of Temples” by the ‘El Eco de Panay’. The Cabatuan Church is known to be the only extant Spanish colonial church with three facades. The Historic province of Iloilo is also known for ‘Calle Real'; a street of old buildings with their classical designs. During January, the city heats up for Dinagyang, the festival dubbed as “The best tourism event in the Philippines” It is a collection of tribe warriors dancing in honor of the Child Jesus. Guimaras on the other hand is known for its agricultural crops. Be sure not to miss the Manggahan festival (Mango Festival), where the city boasts of its world renowned delicious mangoes. The celebration normally last for a few days and various activities are organized. Date changes yearly decided by the Fiesta committee. To enjoy the beaches in Guimaras you can check out the following resorts; Isla Naburot, Costa Aguada resort. You can also visit the Mambukal resort and Trapist Monastery. The fastest and the easiest way is getting to Iloilo is via an airplane from Manila. Flight takes about an hour. There are various affordable domestic plane servicing this route so finding a seat is always easy. The other option is through “roro”, buses that crosses Luzon and ends up at ferry boat to reach Visayas. This normally takes long about a day, but if you love beautiful scenery and does not mind being seated for a long time in a bus this is for you. From Iloilo you can go to Guimaras via ferry boat that brings you there, travel last for about an hour. Iloilo is famous for its Lapaz Batchoy. This is a noodle soup specialty of Lapaz Iloilo. Go to the market in the morning to enjoy this province specialty. 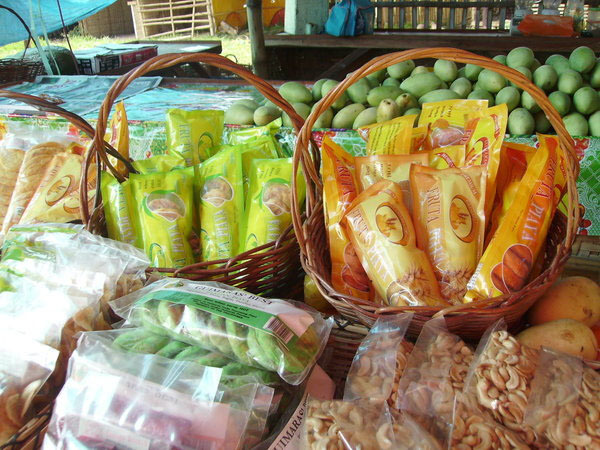 In guimaras do not fail to taste their mangoes and different products out of mangoes; dried mangos, fruit juice and candies. Guimaras is the perfect haven for those who want to relax and chill. Hi! Im going to Guimaras this October. How do I get there from Iloilo? And is there a regular boat trip from Guimaras to Bacolod?